I have no idea what type of plant this is. Just that the morning sun on these berries was so beautiful. I couldn't resist the shot. Very nicely captured, Loreen. 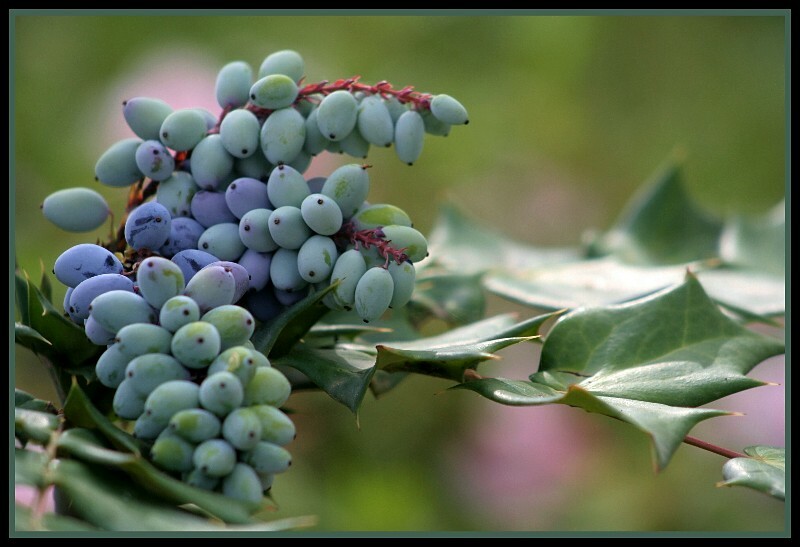 Soft tones, great detail in the berries and leaves, excellent blurred background. beautifully. It is a sweet shot. Very nice shot. Good background. Excellent composition with very good colours and details! Beautiful macro capture! Nice DOF! and you did well shooting! .. a very nice light and a delicate, beautiful composition.. i like the dof you chose!.. enjoy your week end, loreen! Bery beautiful capture with good background. Regards. Volumetric work! Good color, is pleasant!